This post is #sponsored by Gorton’s. I love to put healthy food on the table. Putting food on the table for my husband and myself that is nutritious and lower in calories is always a good thing. 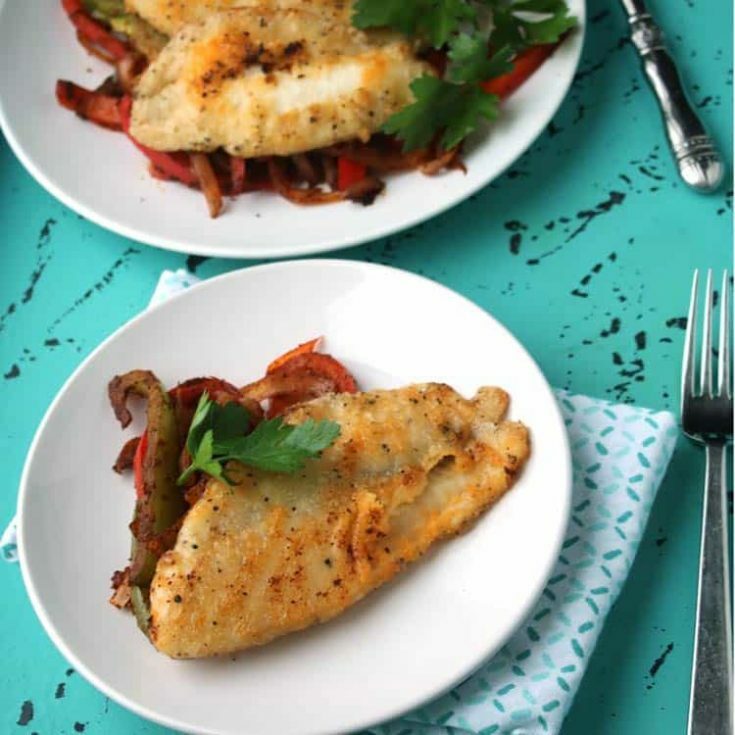 With Gorton’s fish products like the Skillet Crisp Tilapia that I used in this recipe, I can also count on low Weight Watchers SmartPoints. 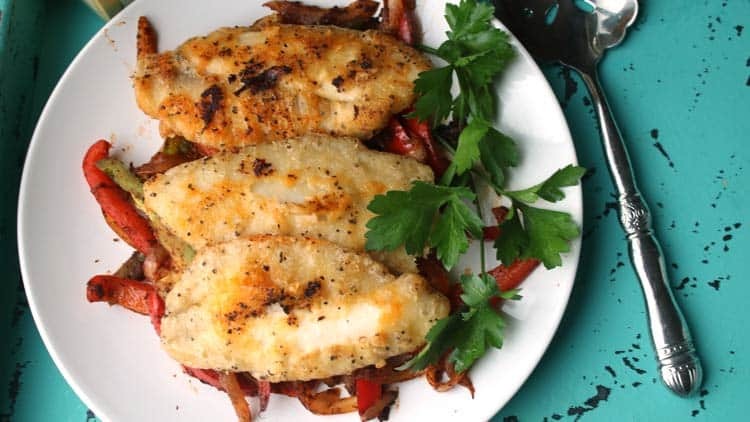 Tilapia is one of my favorite fish to cook, and when I’m in a time-crunch, it’s always a good thing to have a delicious fish choice in the freezer so I can get dinner on the table in under 30 minutes. 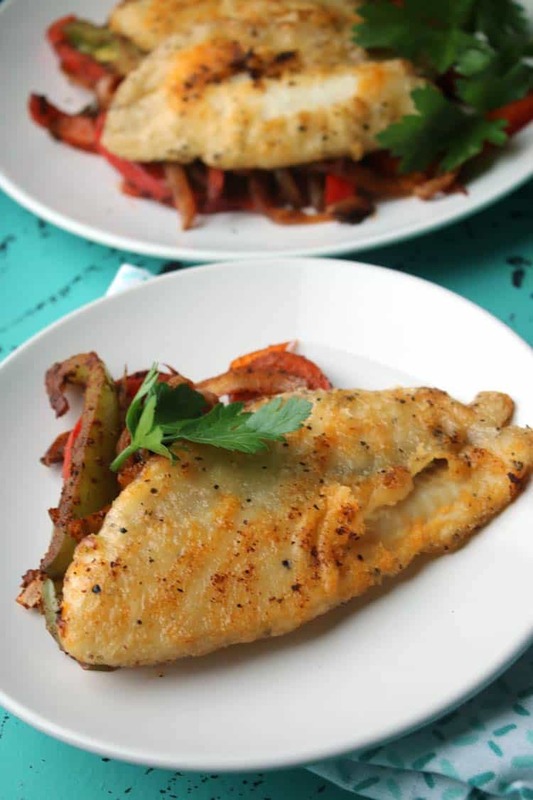 Tilapia is a great choice for this because it has great flavor and it’s super easy to cook. 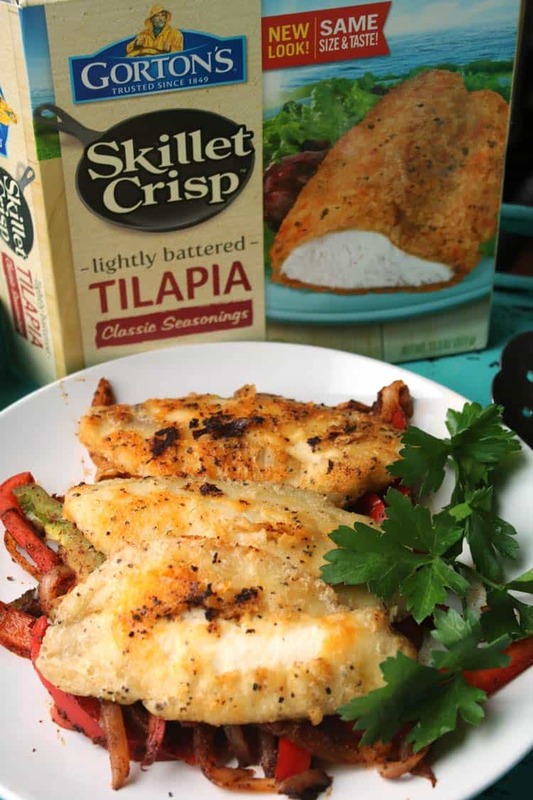 At just 5 SmartPoints per filet, Skillet Crisp Tilapia is an absolute winning ingredient, in my opinion. For this recipe inspiration, I decided to work with one of my favorite foods…fajitas. In my mind…you can never have too many fajitas. But, this is also a good reason to serve up a lighter recipe for fish fajitas. If you like veggies and fish, this recipe is for you! Someone will probably correct me, but my research says that peppers and onions are zero Weight Watchers SmartPoints. In fact, most vegetables and fruits are zero SmartPoints, because Weight Watchers wants to encourage its members to be eating more healthy fruits and vegetables. We all already know that most vegetables are low calories, so it really isn’t shocking that SmartPoints would basically count a lot of yummy fruits and vegetables at zero. So, the only SmartPoints in our skillet of peppers, onions and oil come straight from the oil. As they should. Pairing up fajita veggies and Gorton’s Skillet Crisp Tilapia was a no-brainer for me. Already great flavor melding together with my favorite combination of vegetables equals perfection! 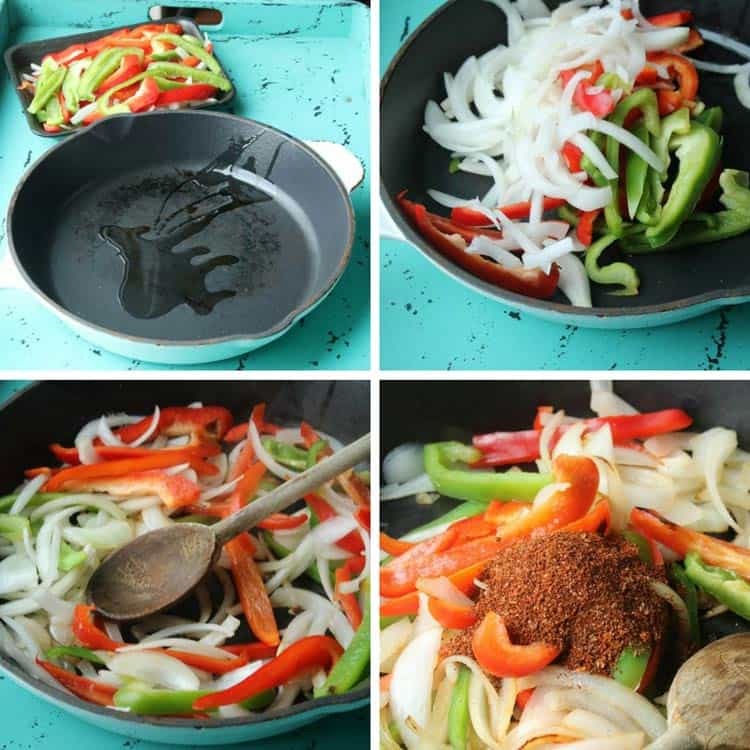 Making fajitas is simple, and I purposely kept this recipe super easy so it’s something that can be quickly whipped up when you get home from a busy day at home or the office. Now, I took an extra short cut here and purchased a container of pre-cut peppers and onions. That’s not something I ordinarily do, but I’m here to tell you that it is perfectly okay to take shortcuts in the kitchen. Seriously folks. How many times have you thought to yourself that you need to find a few ways to save time around the house? You’re too busy working, or cleaning, or cooking, or taking care of the kids? Too busy to do the other things like clean or mow the lawn. Concentrate on doing the things you love and work the other things in. It’s definitely not always as easy as that, but we all do what we can. If you have older kids or teenagers, enlist their help for the chores you don’t love to do yourself. If you dislike cleaning and have the means to hire a housecleaning service…do it. It’s okay to not do everything, and you will be grateful when that burden has been lifted. So…by all means, if you don’t have time to chop onions and peppers and can afford to buy pre-cut veggies–go for it! I’ll never understand why people who enjoy seafood don’t eat it more frequently. Seafood is such a healthy source of protein, and it can be so easy to cook, but none-the-less many people seem to be intimidated by seafood. Now, Monica at Monica Want’s It has it all figured out! She made some delicious Tilapia Street Tacos that will leave your mouth watering just by looking at her gorgeous photos. Those street tacos are certainly going on my meal plan! And the thing about seafood is that you don’t have to make an overly complicated recipe. You can do something as simple as grilling pre-seasoned tilapia and pairing it up with a homemade pico sauce or Black Bean Salad. When I work with brands, I love to hear their story. Gorton’s brand has been doing what they do best for over 160 years: providing families with a nutritious meal that satisfies the whole table. See? When you find a quality company that works quality ingredients and provides a quality product…that’s something to be excited about. And seriously, what could be better than a low calorie, delicious dinner that is ready when you are with quick and easy preparation? Heat oil in skillet over medium heat. Add sliced peppers and onions and cook until fork tender, stirring as needed to prevent sticking. Add 2 tablespoons Homemade Fajita Seasoning (ingredients above) to the pepper and onion mixture. 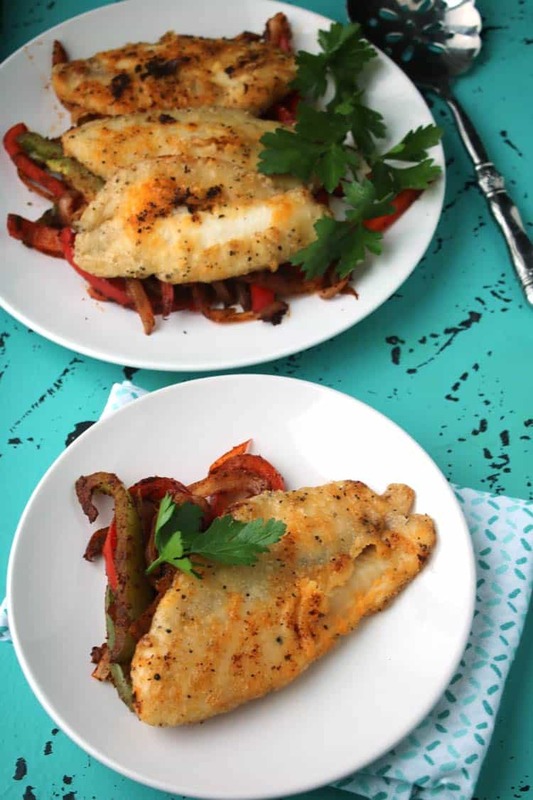 Remove peppers and onions from the pan and heat tilapia fillets according to package instructions. Serve each fillet with an even portion of peppers and onions. Each serving with 1 filet is 6 Weight Watchers SmartPoints.